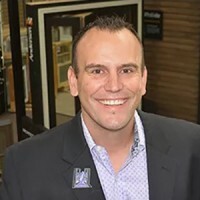 Devon is the Denver-based owner of Mountain View Window and Door, a nationally-recognized company providing windows and doors for high-end residential projects. He’s the creator and host of the Art of Construction Podcast and brand, cohosted by Kevin Keefe. There they talk about all things business, success, and building sustainable, thriving business. This week on EntreArchitect Podcast, Building an Online Media Empire with Devon Tilly of The Art of Construction Podcast. Devon was the oldest of five children whose father began as a contractor and worked himself up to district manager. Every time him and his large family moved, they would buy a house and fix it up. Devon was always interested in the art of construction and the marketing of construction. He is passionately interested in construction and has lived that life long enough to speak the language. Sometimes he felt the industry was too corporate (“what’s your lowest price”) or too construction (“we’ve always done it this way”). Devon moved to Colorado and earned his marketing degree, followed by a move into the construction world. He found he didn’t fit the corporate box very well as an expressive entrepreneur at heart. Thirteen years ago, he went to work for one of his customers. He loved the complication of construction that can either make or break the project. That passion drew him to focus on windows and doors. After meeting his wife, he bought a company out and started Mountain View Window and Door. Now, they have two locations in Colorado, twenty-eight employees, and are about to close on an expansion of Art of Construction. After being interviewed for The Chaise Lounge: Interior Design Podcast, Devon decided to follow a dream and begin a podcast of his own. How did you grow Mountain View Window and Door so quickly? The first step was to have a really good plan. Next, he assembled a support team of a board of directors and an advisory counsel. Devon’s team was led by his father in law, Greg, who copyrighted a presentation “The Full Life Perspective“. From that, he was able to develop his full life perspective. With a good plan, Devon knew he needed to take a risk to succeed. Him and Greg decided to buy a business. Greg helped him put his why together: to be the best supplier for windows, doors and hardware to contractors, architects and project designers in Colorado. As Devon put his plan together, he followed everything laid out in The E-Myth Revisited. He looked at different platforms to see what they did well and what they could improve on. He got his masters and figured out that he was a visionary leader. That was the key, to find out who he was and accelerate that. Though most window and door companies wouldn’t hire a full-time, in-house marketing position, they did so that they could make changes and be active on the web. They hired an IT guy to create software and systems to scale in the future. Devon learned to hire slow and fire fast. At the beginning, he first hired really fast and filled the office up. None of the hires were bad people, but they didn’t fit the culture correctly. Where did the Art of Construction start and where is it going? The podcast began to grow the business, and Devon found that it really grew him. His goal was to learn and be able to teach the art of construction. The podcast has grown his business because he knows who he is, what the culture is, and where they’re going. One video they just released was about a house that he and his wife lived in, remodeled, and now rent out. Devon always wanted to do a show home on it, and, when it was all said and done, he loved getting to do it the way he wanted to showcase his project. From there, he started a monthly leads group where they discovered that everyone wants to do this, but small firms don’t have enough time and money. Devon decided to be the central point of creating a design center and project collaboration. Next week, they close on the property. They’re looking for Grand Junction collaborators in two ways: to be a lessee of some space to collaborate with others or to utilize a monthly membership in a coworking space. Do you have a consulting program? The Art of Construction has a master business acceleration program. It consists of three sessions including LinkedIn profile tips, presentation skills, and goal setting followed by access to a monthly group. Want to learn more about the design center? Connect with Devon online at TheArtOfConstruction.net and MtnView.us. Also find him on Facebook, Twitter, and LinkedIn! EntreArchitect Academy Small Group Mastermind is for architects in Europe, the Middle East, or Africa facilitated by Katie Crepeau. Enrollment is limited to the first 10 members, so join today!